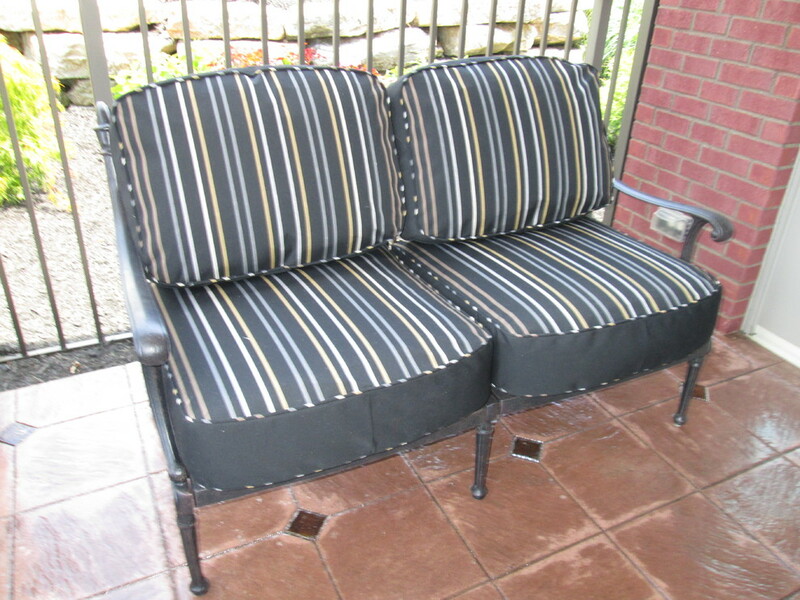 Outdoor fabric cushions with contrast fabric along boxed seat. 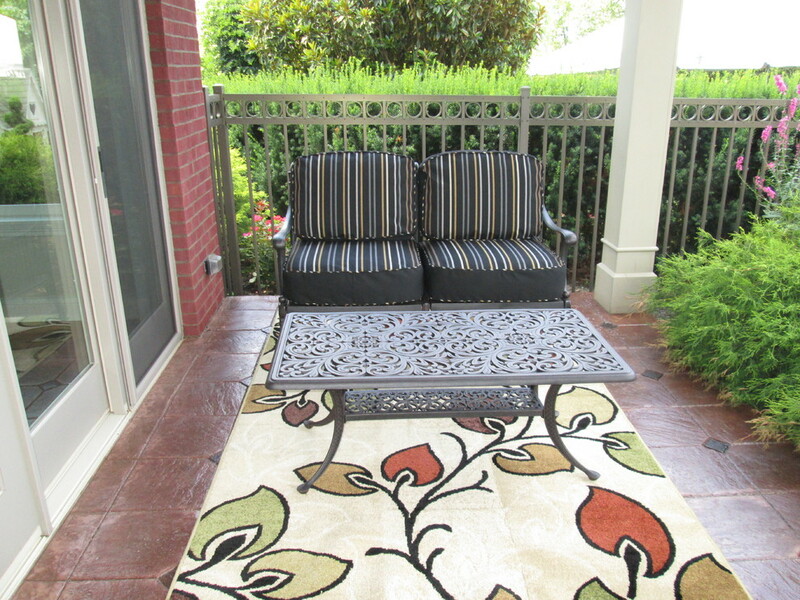 Custom seat cushions using Sunbrella Fabric. 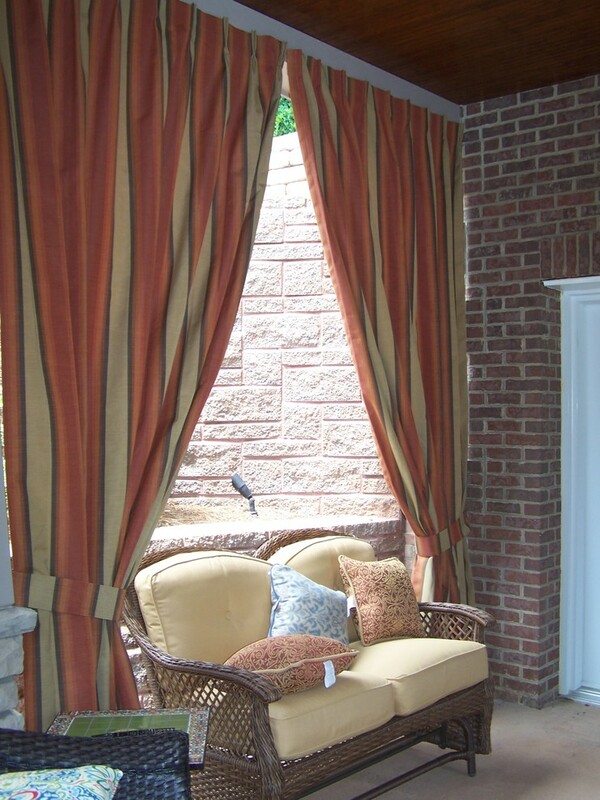 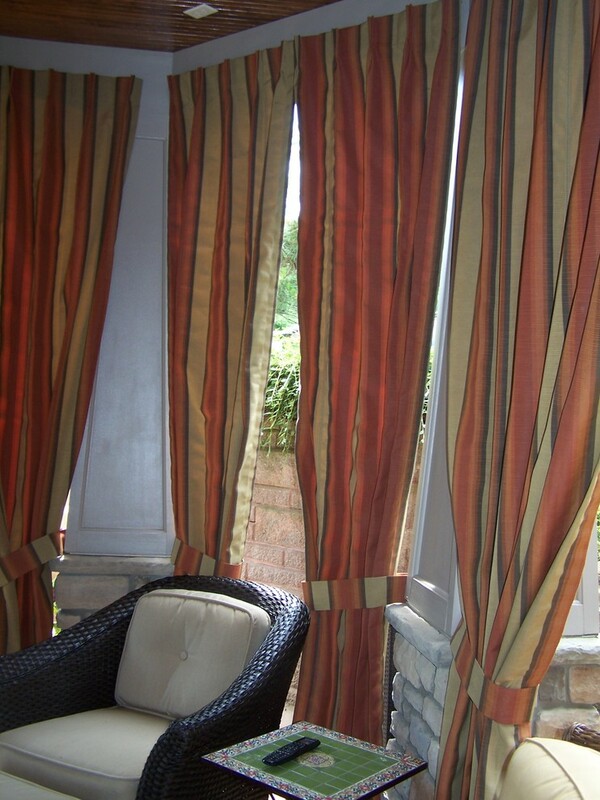 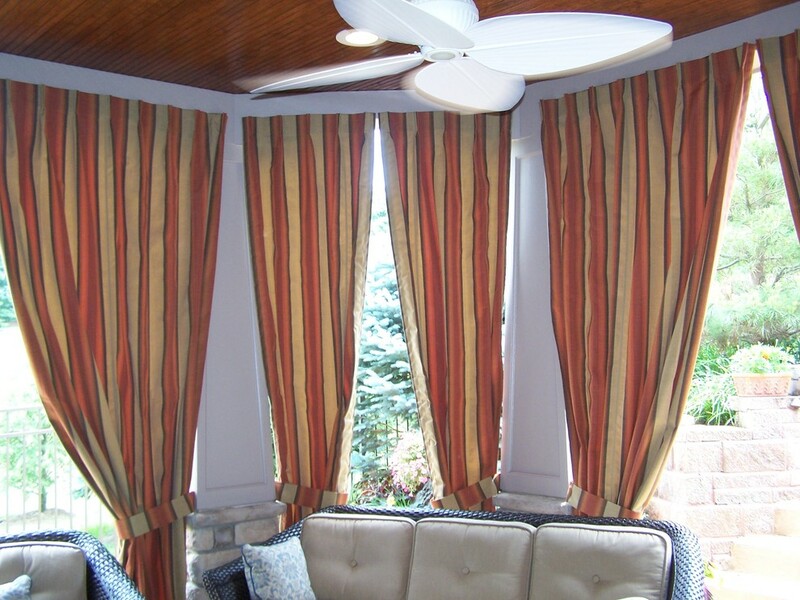 Outdoor drapery panels provide light control for TV viewing. 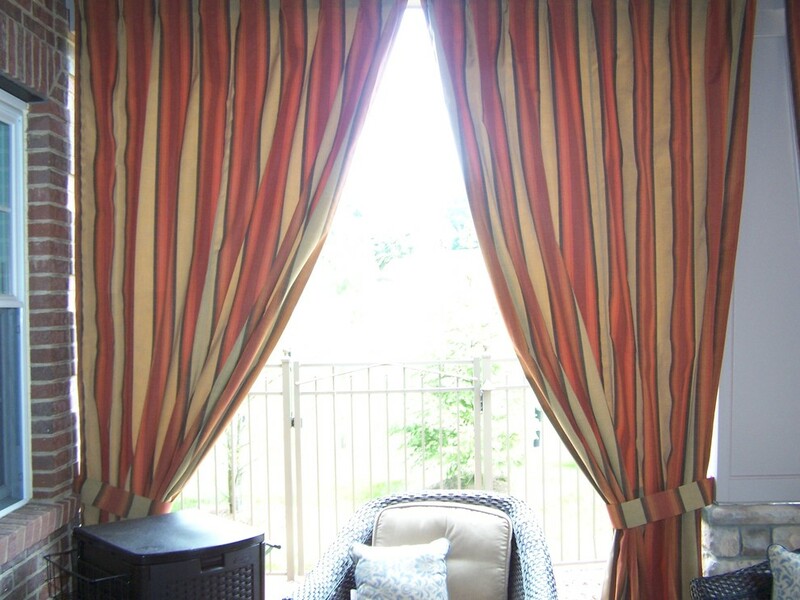 Fabric is Sunbrella.